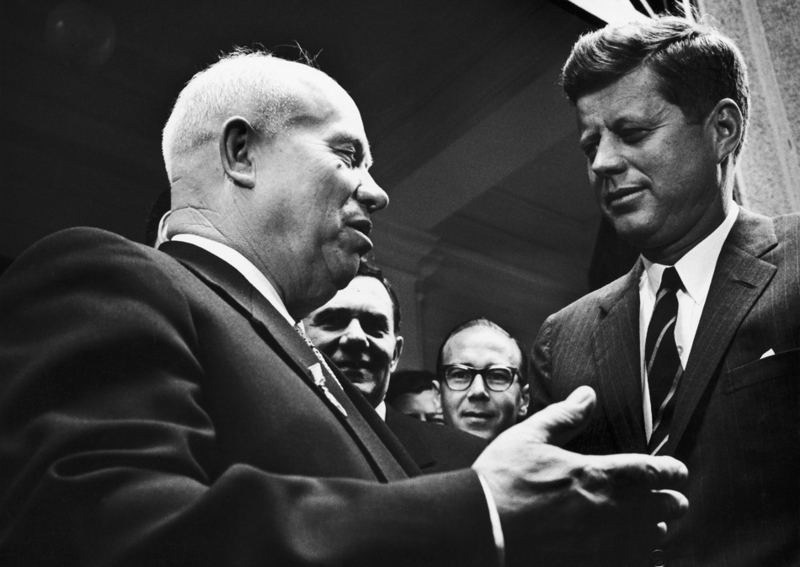 Today, on what would have been Nikita Krushchev’s 120th birthday, we recall the main principles of his life and political career. 1. Raise children. // Khruschev had 4 children: Leonid was an aviator; Yulia was the wife of the director of the Kiev Opera; another son, Sergei, is an engineer and professor; and, Rada is a journalist and wife of Alexey Adzhubei, the chief editor of the famous newspaper, Izvestia. 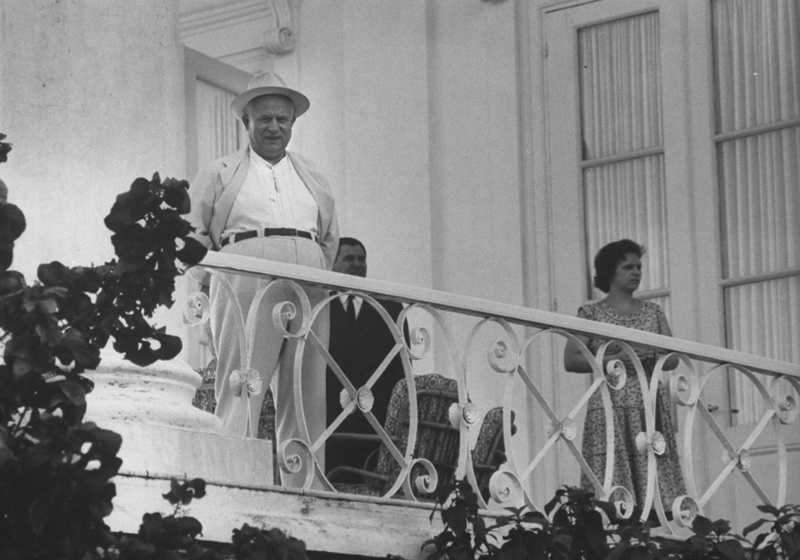 At this picture: Nikita Khrushchev with daughter. 2. Cultivate corn. 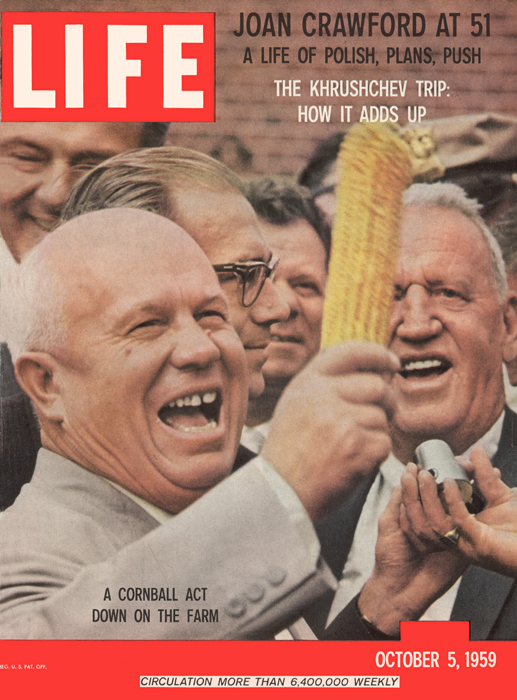 // The cover of Life magazine features a photograph of Nikita Khrushchev as he holds an ear of corn aloft during a US tour, October 5, 1959. 3. 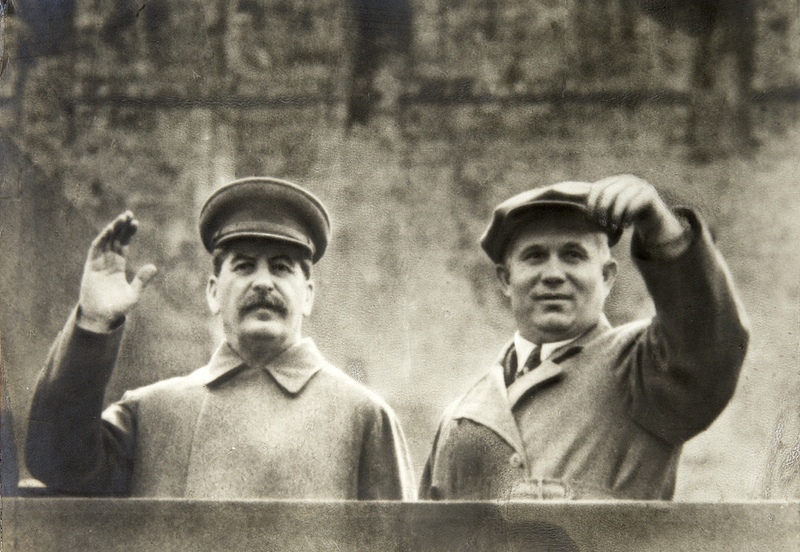 Do not cultivate the leaders of your country (After Stalin's death Khrushchev denounced Stalin, the cult of personality he had fostered and the crimes he had perpetrated) // Joseph Stalin and Nikita Khrushchev on the tribune of Lenin's Mausoleum, Moscow, Soviet Union, c1935-c1937. 4. 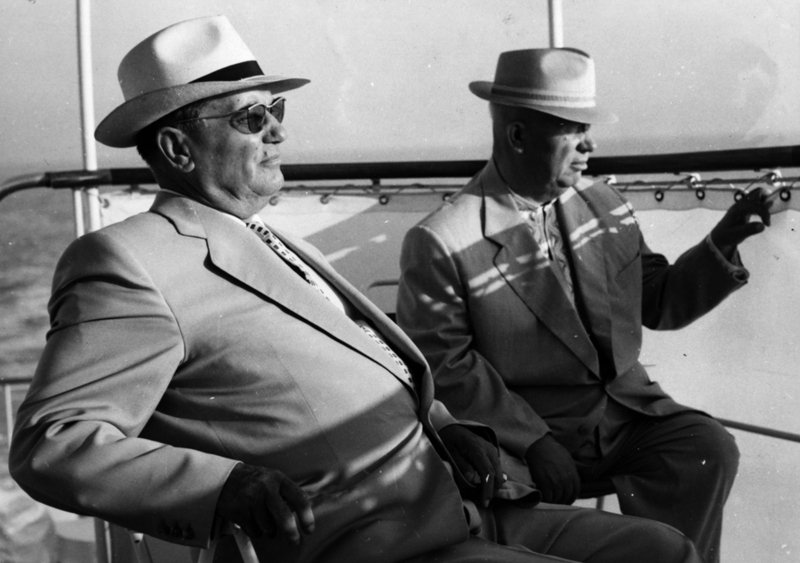 Dress like a character from Mad Men // Soviet premier Nikita Khrushchev (right) and Yugoslavian president Josip Tito on the ship Podgorka on a sightseeing tour along the Istrian coast. 5. Give a hug to your family members every day. 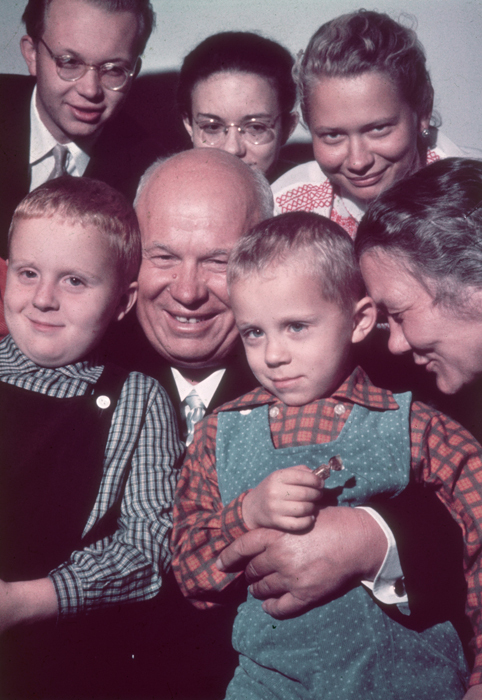 // Portrait of Soviet premier Nikita Khrushchev smiling while posing with a group of children and some adults, possibly members of his family, Soviet Union, 1962. 6. And to your friends from time to time. 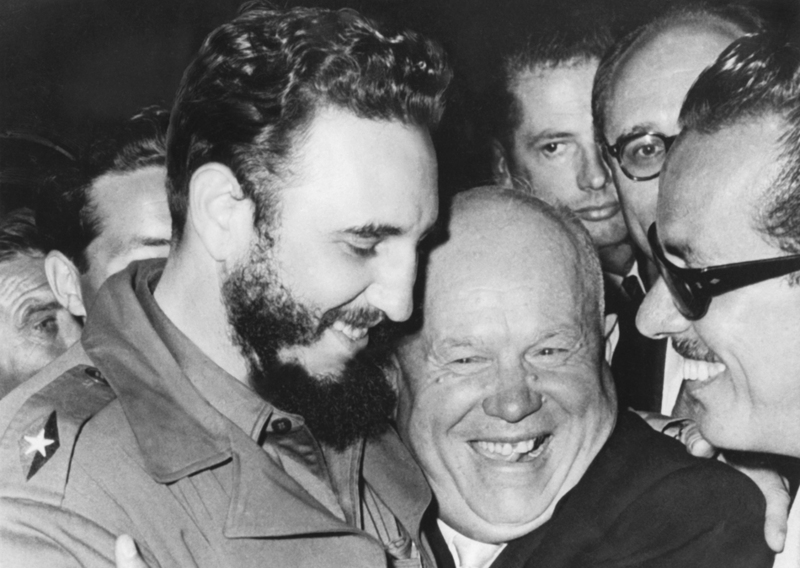 // A jovial greeting takes place between Cuba's Prime Minister Fidel Castro and the Soviet Union's Premier Nikita Khrushchev when they met at the United Nations, New York, September 20, 1960. 7. Show some interest in your ally's culture. 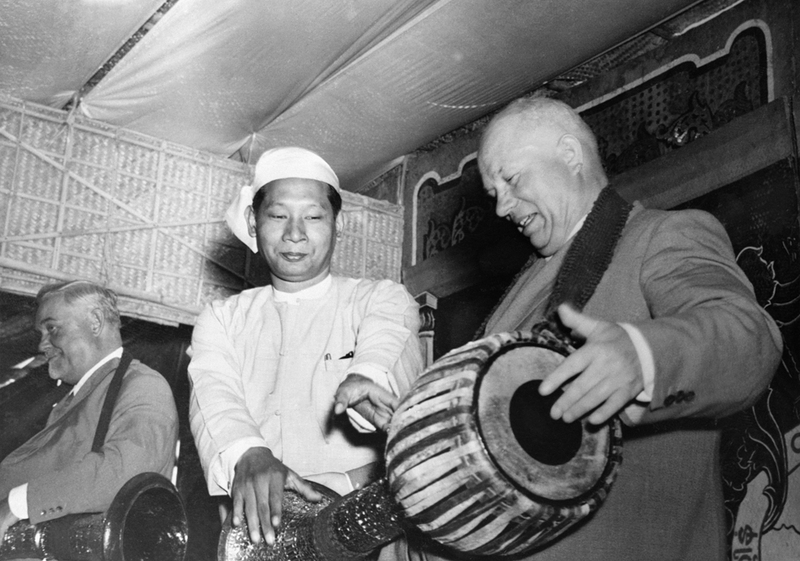 // With Burmese defense minister U Bashwe instructing, Nikita Khrushchev, head of Russia's Communist Party and Star salesman for communism, tries his hand at the Burmese drum during his visit to Rangoon, 1955. 8. 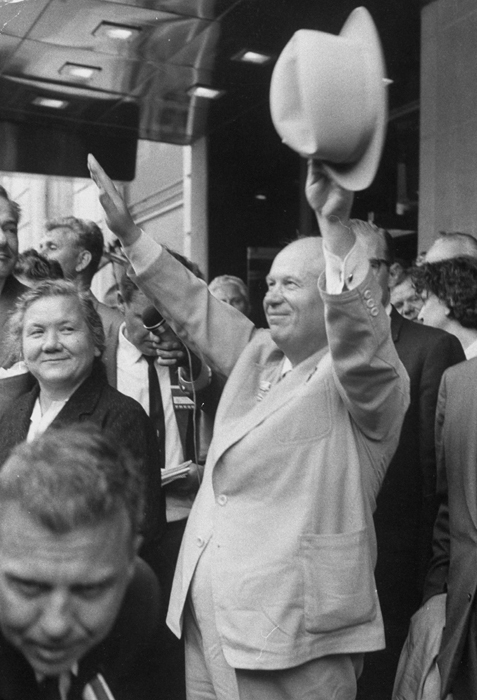 Greet your ideological opponents // Nikita S. Khrushchev and his wife during their tour of US. 10. If you failed to do it, show them Kuzka's mother. (Russian idiomatic expression "to show Kuzka's mother to someone" means "to teach someone a lesson", sometimes "to punish someone in a brutal way" entered the history of the foreign relations of the Soviet Union as part of the image of Nikita Khrushchev. 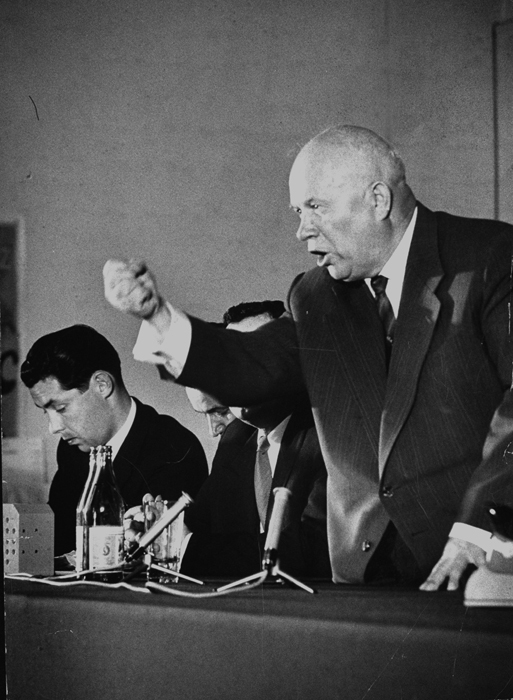 // Soviet Premier Nikita Khrushchev ranting with a raised clenched fist while standing at a miked table with other Soviet officials at a press conference as he cancels the disarmament summit meeting because the US will not apologize for the American U-2 spy plane incident.